AtGames have now confirmed their involvement, in a tweet. 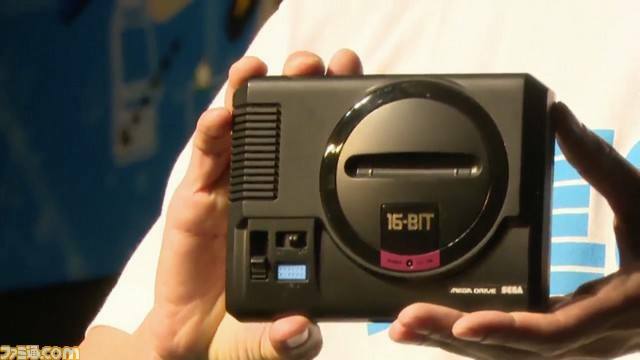 It appears that the SEGA Mega Drive Mini maybe different in design to the AtGames Genesis Flashback. The unit itself is much smaller that the Genesis Flashback making backwards compatibility with actual Mega Drive cartridges impossible. Could this in fact be a newly developed system by SEGA Japan? We will update this article when we learn more. SEGA Japan have announced the SEGA Mega Drive Mini for Japanese release. 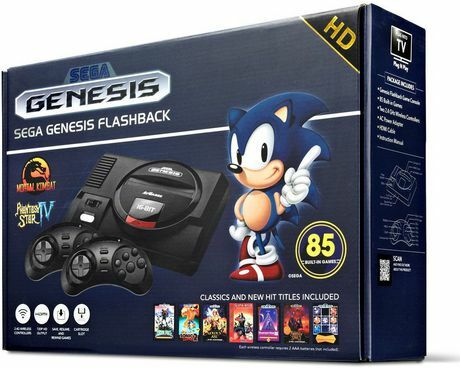 It is currently unclear if this is a re-release of AtGames’s SEGA Genesis Flashback HD console for the Japanese market. SEGA Games COO Kenji Matsubara had previously expressed interest in importing and selling the SEGA Genesis Flashback in Japan. Details on the exact specifications of the SEGA Mega Drive Mini are sparse at this time, but if it is a slightly altered version of the AtGames unit, it will likely feature the same line-up of Mega Drive, Master System, Game Gear and original titles from the Genesis Flashback. 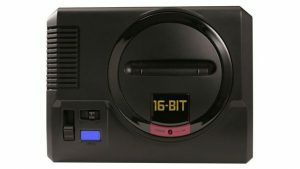 It will also include backwards compatibility with existing Mega Drive games via its cartridge port, as well as HDMI out for modern televisions. The SEGA Mega Drive Mini will launch in Japan later in 2018. In an article published by Yahoo! Japan, SEGA Games COO Kenji Matsubara has stated the company are looking into bringing back the Mega Drive for a modern audience. This has lead to speculation that SEGA could be planning a proper rival to Nintendo’s massively successful NES and SNES Mini consoles – but unfortunately, the truth is slightly less glamorous. The SEGA Genesis Flashback is the latest effort from AtGames. Priced at an eye-watering $80, you’d expect some bang for your buck – but while there are some improvements to AtGames’ much loathed older units, it’s still not on par with Nintendo’s in-house efforts, or even M2’s attempts at rejuvenating Mega Drive titles. Even worse, many of the 85 games on the collection aren’t even classic Mega Drive titles! As such, Matsubara’s announcement unfortunately doesn’t mean much in the long run; back to hoping for an M2-led Mega Drive release, we go. Like our stuff? Why not subscribe to the YouTube channel for more video reviews, features and let’s plays?